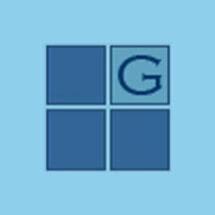 Godwin, Morris, Laurenzi and Bloomfield, P.C. was established in January of 2004. The firm formerly was Agee, Allen, Godwin, Morris and Laurenzi which was established on January 1, 1989 by Lynn Agee, Mark Allen, Deborah Godwin, and Samuel Morris, each of whom had been members of the labor and employment section of Gerber, Gerber and Agee, a firm that had been in existence for thirty-five (35) years and Eugene Laurenzi, a general practitioner. Lee Jeffrey Bloomfield, former President of the Tennessee Trial Lawyers Association, joined as a member. The firm is presently a professional corporation with Deborah Godwin, Samuel Morris, Eugene Laurenzi, and Lee Jeff Bloomfield, as the officers and senior partners. In addition, the Firm has five associate attorneys. All of our attorneys are licensed to practice in the State of Tennessee. In addition, Samuel Morris is licensed to practice in the State of Indiana and Lee Jeff Bloomfield is licenced to practice in the Commonwealth of Kentucky. No one in our firm has ever been charged or sued for fraud, ERISA or other federal or state law violations or for malpractice. The Firm has the highest rating for competence and ethics by the Martindale Hubbell Law Journal. Two of our partners, Deborah Godwin and Samuel Morris, are listed in the publication Best Lawyers in America for their expertise in labor law and one partner, Lee J. Bloomfield, for maritime law.